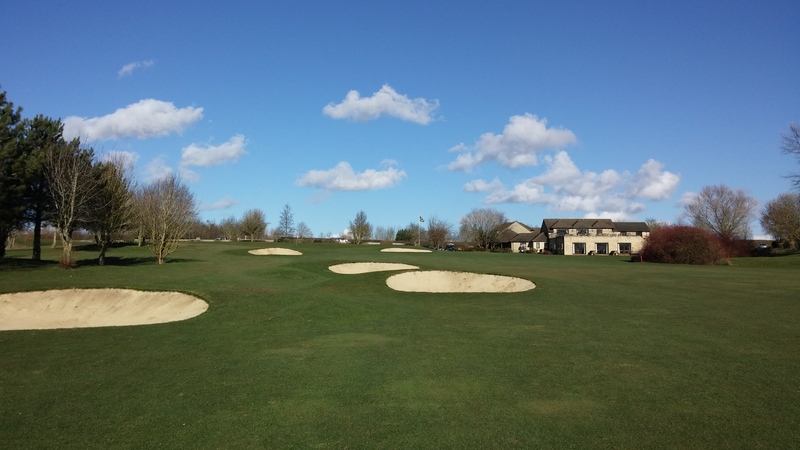 A first visit for the society to The Wychwood Golf Club. With a threat of snow and other freak weather, we breathed a sigh of relief as the heavy clouds passed either side of the course. The course was in excellent condition despite the recent rain. The general feedback from the 20 golfers who turned out, was that they enjoyed the course. It may become a regular on the calendar. Congratulations to Simon, who notched up a second victory in a row. Let’s see if he can make it three with the latest cut to his handicap! The photo on the right is the formidable approach to the 18th green.